Ray has won numerous international ultra marathons of distances from 100 to over 200 miles in length in some of the harshest conditions on the globe. He and two other runners recently ran the entire width of the Sahara Desert—4500 miles in 111 days with no rest days—and in the process learned of the seriousness of the water crisis in Africa. The run was documented in a film directed by Oscar winner James Moll and narrated by Matt Damon. One of the goals of the film is to raise awareness for the water crisis in Africa. Ray now uses his athletic career to support philanthropic causes and inspire youth. Ray is a board member for the ONEXONE organization and the Ryan's Well Foundation. Ray is the founder of i2P. Along with Richard Weber and Kevin Vallely, Ray trekked unsupported to the South Pole in a world record time of 33 days, 23 hours and 55 mintues, and in the process the team shared their expedition with, and were inspired by, thousands of students. Most recently Ray accompanied the five Youth Ambassadors as they made their trek across Baffin Island for stage 1 of the World Expedition. With grace and calm, Kevin combines the seemingly impossible demands of world-class adventurer, journalist, architect, and father. 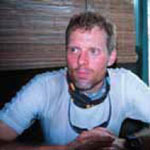 Kevin is known internationally for his broad experience and deep technical knowledge as an explorer. He bicycled the Iditarod trail 1150 miles from Dawson to Nome in the dead of winter, competed on elite adventure racing teams, kayaked in Siberia with his baby girl and wife, and explored jungle and Arctic regions around the globe. Kevin has numerous television documentaries and articles to his credit and is a popular media personality. 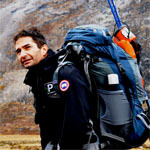 Along with Richard Weber and Ray Zahab, Kevin trekked unsupported to the South Pole in a world record time of 33 days, 23 hours and 55 mintues, and in the process the team shared their expedition with, and were inspired by, thousands of students. Ewan will be taking part in this expedition as a guide and as educational coordinator. A graduate of the McGill School of Medicine, he has worked and lives in Northern Canada since 1992. Medivacs and community visits have taken him across most of the Canadian Artic. He has served as clinical advisor to the Keewatin Regional Health Board and is currently the Medical Director of the Yellowknife Health and Social Services Authority and Clinical Director of the Northwest Territories e-Health Initiative. He maintains an active clinical practice, providing both hospital based and remote community services. He is passionate about designing sustainable and ecologically sound health services for remote northern communities. Ewan has been running for many years, and much prefers to run on snow than on asphalt. He has won 2 northern ultra marathons. He is married and has 2 children, Zander and Anika. Mark Dohn is a husband, father of three, educator, and athlete who brings a wonder and passion for the use of technology in experiential education to the team. A competitive cyclist who raced at the highest levels in both North America and Europe, Mark then turned his focus to education. Adding a teaching credential to his Bachelor’s of Arts in Anthropology from Miami of Ohio, he has spent the past twelve years advocating for the use and integration of technology in education, and the development of the 21st century classroom. 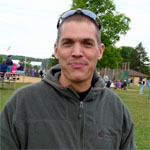 In 2009 Mark was recognized as an Apple Distinguished Educator. With a background in both Education and Library Science , Leona has had a long career as a Teacher and Library Technician . She has lived and worked in Newfoundland and Labrador, central Canada and western Canada, with her focus being on education and research. After graduating from Algonquin College's Library and Information Technology Program she had been able to combine these two interests. Leona is enthusiastic and pleased to be assisting with the educational research for the I2P South Pole Quest, 2008. Kat is a Ph.D. candidate in the joint clinical and developmental psychology program at the University of Pittsburgh. Her primary goal is to help children; professionally, her research is focused on adolescent substance use and externalizing disorders (e.g. ADHD). Beyond academia, Kat is a coach for Girls on the Run, a program that trains 3rd-5th grade girls for a 5K while building confidence and teaching skills such as communication and teamwork. Kat is an ultramarathoner and triathlete who completed the 2009 Antarctica Marathon to raise support and awareness for the Injured Marine Semper Fi Fund. Kat hopes to continue to pursue athletic adventures around the world while helping others, be it through research, fundraising or community service. Peter is a CBC reporter based in Iqaluit. He has spent the last year and a half traveling around the North, spending time in all three Canadian Territories and Alaska. His formal education includes a BPHE in Physical and Health Education and a BSc in Life Sciences (Queens University, Kingston, ON) as well as a BJ Radio Journalism (King's College, Halifax). 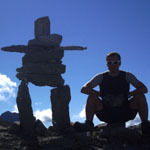 While working in Iqaluit, Peter became involved in some of the on-the-ground research leading up to the Akshayuk Pass Expedition. Peter brings a passion for story telling, research and adventure. 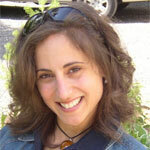 Michelle Watrin is an online high school journalism teacher at Abbotsford Virtual School in British Columbia. She ran track and field for Purdue University from 1988-1993 and is a member of the Indiana Track and Field Hall of Fame. Michelle works as a freelance writer and is also an educational adviser/public relations volunteer for Abbotsford's Run for Water, a 5K, 10K and half marathon raising money and awareness for the dire need for clean water in Southern Ethiopia. The mother of four and wife of a high school football coach enjoys triathlons and finished her first marathon in Victoria, BC in 2009. Thomsen is a 20-year old Métis hailing from Yellowknife, NT who pursues his Olympic dreams full-time as a professional cross country skier based out of Whistler, BC. Since the age of 17 he has been co-owner of Mountain Bike Madness, a summer day camp based out of Yellowknife. The camp focuses on getting kids ages 9-13 outdoors, having a great time, and living healthy lifestyles. Although school work is currently taking a backseat in his life, Thomsen continues to dabble in part-time correspondence studies, with a general interest in the Sciences. Although he specializes in races less than 3 minutes in length, Thomsen got his first taste of Ultra racing in March 2009 by winning the diamond in the 3-day, 135km Rock and Ice Ultra K-Rock ski race and plans to compete in similar events in the future. With a keen interest in the environment and a strong connection to the North, Thomsen was extremely excited to share the experience of hiking the Akshayuk Pass this fall. Anton is an accomplished endurance athlete. 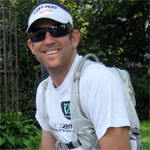 He has completed numerous marathons, Ironmans, and Adventure races. As an IT Director, his strengths are in communication, planning, logistics, and technology which he applies with enthusiasm to I2P projects. He is drawn to extreme events realizing that life is about the journey and not the destination. " Too few people take the time to explore the limits they set upon themselves." 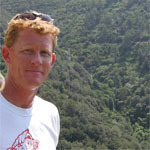 Bob Cox has been in athletics all of his life (a lifelong surfer with nearly 10 years in the surf industry) and has recently found his stride in endurance endeavors such as the Canada OnexOne, the Oceanside 70.3 Triathlon, multiple 50k’s, and the San Francisco 24hour footrace race with a top ten finish. He spent much of his youth surfing in the Pacific Ocean and from those experiences his passion for our big blue planet was formed. Bob earned a Bachelor of Arts Degree in Political Science with an emphasis on Public Policy from California State University, Northridge. His appreciation for clean drinking water grew from his profession as a potable and recycled water Cross Connection Specialist in California. In October 2007, Bob met Ray at a Livestrong event in Texas and from that moment he knew his life had changed. From that day forward the two men have dedicated their lives to the message and ideals of i2P. Kathy combines her career as an environmental advisor and a fondness for ultra distance running to constantly learn and push herself past her perceived limits, and is passionate in her goals of helping to find solutions for many of the social issues affecting young people at home and abroad. Through ultra running she discovered an inner drive to set far-reach- ing goals and a dedication to pursue them to completion. During Ray’s crossing of the Sahara she ran 160 kilometers with the team in some of the harshest conditions of the expedition. Kathy volunteers her time as a board member of the Ryan’s Well Foundation and she hopes to pass on a legacy of learning and giving to her daughter Mia Sahara. As an expert in the field of satellite communication technology for over 20 years, Alan's role is to make sure that Ray and his team have reliable, effective communication with the outside world at any time, anywhere. Alan is the president and an owner of Satellite Communications Source, in Kitchener, Ontario. SCSI specializes in setting up remote and/or mobile communication solutions using leading-edge satellite technologies such as BGAN, and satellite phone solutions. In his spare time, Alan is an expert skier and a seasoned trail and marathon runner. Nick Gravel, B.Eng (Communications), has over 10 years experience in sales, marketing and internet communications. 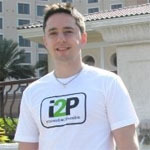 Nick is actively involved with the growth of i2P's web presence and the ongoing development of two way communication with students during expeditions.